If you’ve ever wondered am I choosing the best casino for what I want? Maybe you’ve tried a few different slots sites in the past and never found one that fits with how you play. Well, that’s where we come in. We’ve put together some top tips on how to choose the best casino to play slots online. From the types of games to slot tournaments, and promotions we give you the insights that will help you find a new gambling establishment. A site that will not only look after you but also offer plenty of entertainment for weeks, months and years to come. Probably the most important aspect when looking for a new casino site to play slots at is, do they accept players from your country? It used to be that most casinos accepted players from all over the world and it was easier for anyone to sign up. With new gambling regulations coming in to effect for the UK, Denmark and Sweden and Australia banning online gambling it can be a much harder affair. When it comes to reading casino reviews be sure to see if they mention a list of accepted countries, or if not head over to the top casinos that interest you the most and talk to their live chat. It doesn’t take long, and you’ll instantly know if you’ll be wasting your time trying to sign up. Aside from whether you can play at a casino or not, our second thing to look at before signing up is their choice of slot machines and casino games. Do you like classic slots or video slots from one particular provider? Perhaps you’re a fan of table games like blackjack and roulette, or live casino gives you the thrills your looking for. Whatever your preferred type of casino game it’s worth taking a minute to see if they offer the ones you like to bet on. For instance, we like to play high volatility slots from Play’n GO so we’d see if they have their range of games including Viking Runecraft, Book of Dead and Spin Party. If they have one, they typically have the rest. For us after eligibility and games, comes the promotions and potential to turn our gameplay and loyalty into rewards. Promotions and loyalty programs are where not all of the best casino sites are equal. 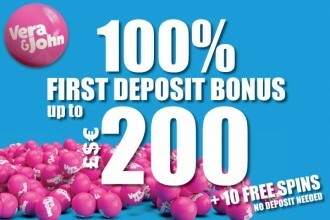 Many offer you the chance to take part in casino promotions around popular events of seasons throughout the year. For example, big sporting events like the World Cup or festive holidays like Valentine’s Day or St Patricks Day are key ones to look out for. But then there are the casinos like Vera&John and LeoVegas casino who want to entertain their players throughout the year offering new promotions each month. These monthly promotions give you a chance to win free spins, real cash prizes and even luxury holidays and adds a little extra opportunity to win from your bets. Casino loyalty programs, on the other hand, are often continuous. Everything your wager or bet at the casino is taken into account to either progress you through levels to reward you with casino bonuses or let you earn points to cash in later for bonuses and luxury gadgets and gizmos. Two of the best loyalty programs we can think of are Casumo and Rizk. Casumo casino takes you on an adventure where you complete missions to win bonuses, while Rizk casino lets you progress up levels rewarding you with the no wagering free spins which increase the more levels you go up. Which means picking the right casino is vital to make the most out of a loyalty program, cause at the end of the day the more loyal you are, the more rewards you’ll get in return. Perhaps not a vital part of picking a new casino but if you’re a slots fan and like a little competition one part that might help you choose the right one. Once again, not all casinos give you the chance to play in slot tournaments, but more and more top sites are emerging giving their players this option. A simple concept that you’ll find at casinos like Casumo, Mr Green, Vera&John, Videoslots, and BGO. 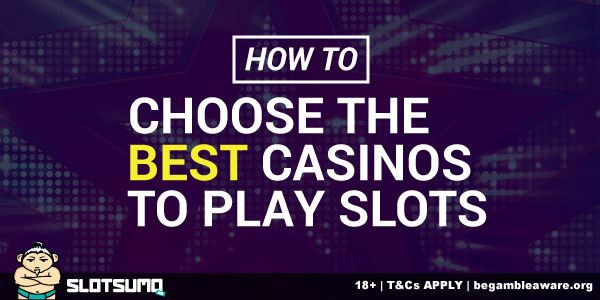 Not quite our last point on our casino top tips list is to make sure that offer a variety of different ways to let you make a deposit or withdrawal from your account. Some of you reading this post might think that this should be higher up the list, but often we find if they let you play casino from your country they usually either have the currency you’re used to or one that’s easy to do the exchange calculations. Not only that, but it’s more than likely you’ll also find at least one deposit or withdrawal methods you’ll be comfortable using. Most casinos offer debit cards, bank transfers, Skrill, and Neteller as the minimum, while other bigger and more established brands offer Paysafecard, InstaDebit, PayPal, Trustly and more. With some of the best online casinos even offering country-specific payment providers or the ability to pay via your mobile phone bill. Essentially there’s always going to be some way in which you’ll be able to deposit cash or withdraw your winnings. Finally, we come to our last tip on what to look out for when signing up to a new online casino site, the welcome casino bonuses. Each casino offers something a little different, but the ones who provide low to no wagering requirements and no maximum cashouts are the best. These are hard to find mind you, and it’s the reason they come at the bottom of our top casino tips list, as you don’t have to take a bonus to enjoy the rest that the casino offers. They are simply a way to entice you in but should be seen as an extra entertainment value rather than a way to win any real cash prizes. We’ve already given you a few tips and ideas of what to look out for when trying to choose your next slots site throughout this post, but here’s a few other things the higher standard casinos have in common that you might not have thought of. Hopefully, by reading this how to post we’ve given you a few more ideas on finding the right casino that fits your style of gambling online. You can always check out the casino reviews we write here on our SlotSumo.com website to give you an idea of what each site offers you.